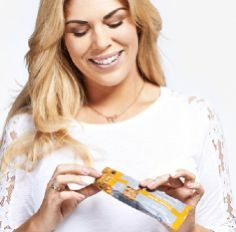 The Exante Diet is a set of weight loss systems that provide the tools and support for people looking to drop anywhere from 2 pounds to 10 stone. 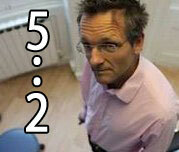 There are 2 very low calorie diet (VLCD) plans, 2 Low Calorie Diet (LCD) plans and even a 5:2 intermittent fasting plan. Eligibility for each plan is determined through body mass index (BMI) measurements and whether or not aspirants have existing medical conditions that would limit their participation. For those with the highest BMI’s, and looking to lose the most weight the first stage would be the Exante Diet Total Solution. The Exante Diet Total Solution is a (VLCD) that offers a great deal of flexibility and variety. 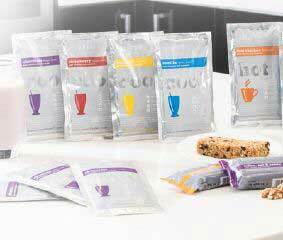 VLCDs in general work by providing complete daily nutritional needs in 800 calories or less. Nutrients are ingested in the form of meal replacement products unique to each diet. VLCDs have enabled millions of UK participants to lose thousands of pounds of weight over the last 50 years. With the Exante Diet, users consume a maximum of 600 calories daily by eating three Exante products. It’s that simple. Each Exante diet product measures 200 calories so there is no measuring or weighing of food necessary. There are no complicated foods to purchase or prepare either. Users simply choose between Exante diet shakes, bars, soups and food packs. In addition, users also need to perform 20 minutes of moderate exercise per day. 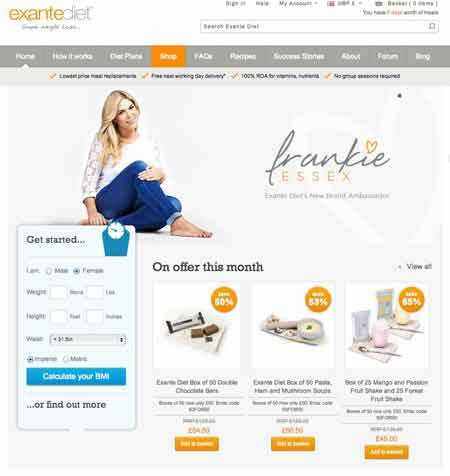 Recently, former TOWIE star Frankie Essex has undertaken a very public journey to be another VLCD success story. She has recently become an ambassador for the Exante Diet plan and will adhere to the rules from 12 March through 4 June. Her stated goal is to lose 3 stone and fit into a size 8 by the time she’s through. To up the accountability factor, and invite the public along on her journey, she has recently posed for candid “before” photos published in the Mail Online. Throughout the coming weeks she will continue to document her progress online. After the Exante Diet Total Solution Plan, the other plans are the total Plus Solution, the Working Solution and the Simple Solution. Each plan still requires users to consume 3 Exante diet products per day, but they each gradually increase daily caloric intake with supplemental meals or snacks. This allows a measured return to conventional foods while maintaining weight loss. A sudden resumption of previous eating habits will result in users regaining any weight previously lost. Exante diet participants must cycle between the VLCD plan for 3 weeks with a 1 week LCD plan taken in between. How does a VLCD work? VLCDs typically result in rapid fat loss because of the way the human body works. It stores energy in two forms. First, excess starches and sugars are converted to fat. Long term energy reserves are also formed and stored in the liver and muscles. On a VLCD, the body is taking in far less than the 1800 to 2000 calories than the 1800 to 2000 it typically needs to function properly. To make up for this deficit, the body will first burn fat (or adipose) tissue for fuel. Next it will turn to the secondary stores, which take the form of glycogen. Ketones are produced as a by-product of the glycogen in the liver being used up. When the body is producing ketones it is in a stake known as ketosis. The levels of ketones can be measured with over-the-counter urine test strips. Monitoring ketone levels is one way VLCD adherents can determine their success. The Exante Diet, if followed as directed, ensures a state of ketosis. Dieters like Frankie Essex can easily tell if they are on the right track. Following the entire plan can eliminate the failure of yo-yo dieting, which is something Frankie has admitted to struggling with in the past. Some people are expressly forbidden to follow the Exante Diet. These include people under the age of 18 or over the age of 70, and pregnant or breastfeeding women. Certain behaviour or eating disorders like anorexia or bulimia can also preclude participation. The Exante Diet takes these warnings seriously. Users must complete a BMI check and contraindications check before they can purchase the products. Constipation is the most frequently encountered side effect of a VLCD, to include the Exante Diet. To prevent this, the Exante Diet recommends users drink between 2-4 litres of water per day. 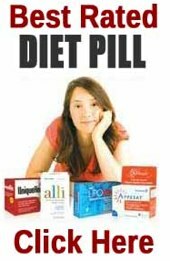 You have to be reasonably fit and healthy to take in any VLCD – if you are and you want to try one then this is the diet to embark on. Have you heard about the Pina Colada Diet?